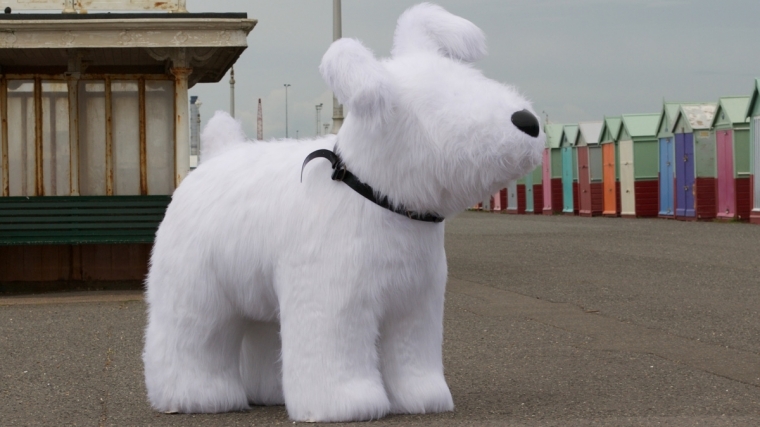 Brighton Dome is delighted to be hosting Roodle the Snowdog as part of Snowdogs by the Sea, an extraordinary public art trail organised by local charity, Martlets Hospice, in conjunction with Wild in Art, which will be held across Brighton and Hove during October and November. Inspired by the much-loved pet labradoodle of Wild in Art Chief Exec Charlie Langhorne - whose company created the giant size incarnation - Roodle is the hairiest pooch in the more than 40 strong Snowdog pack. He is made, in Langhorne’s words of ‘love and emotion with a little bit of fibreglass as support’. Roodle will be installed in Brighton Dome’s foyer between 24 September and 27 November 2016 as part of the city-wide trail which will include around 45 giant Snowdogs, each individually decorated by different artists, and a pack of 20 Snowdog puppy sculptures designed by local school children.